CLIVE, IOWA – January 12, 2016 – The Clive Community Foundation (CCF) and Clive’s Public Arts Advisory Commission recently announced plans to install a new sculpture called Radiance. 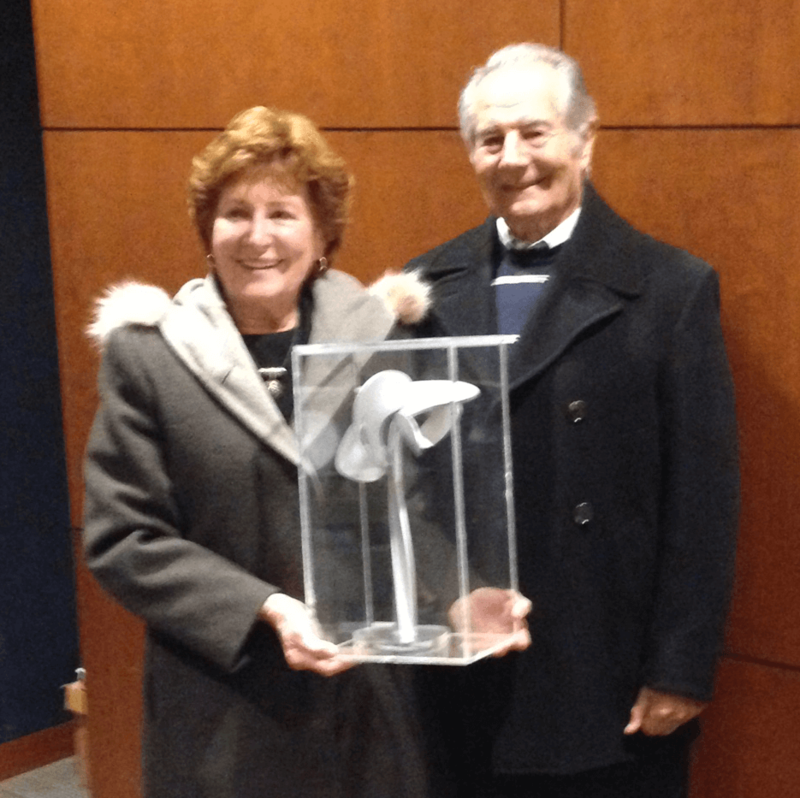 The 18-foot sculpture recognizes Clive residents Peter and Anna Marasco. As part of Clive Community Foundation Presents: Art in Clive!, CCF provided a gift of $7,125 to the arts commission. The grant will serve as seed money for the Marasco art project. In addition, CCF board members held a silent auction and introduced a challenge campaign to those at the event. Both of these activities generated an additional $6,620 to fund a permanent endowment for art in Clive. A check was presented at a special event hosted by the Clive Public Arts Advisory Commission and CCF at NCMIC offices. 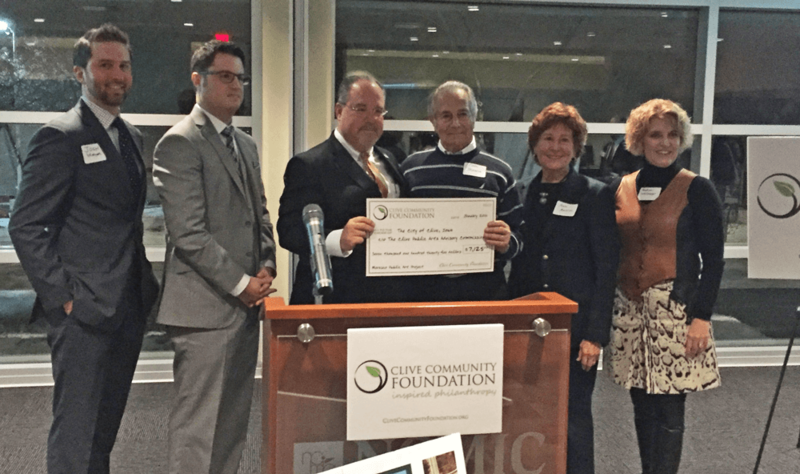 In 2015, the first full year of fundraising efforts, CCF raised $198,350 from Clive residents and businesses against an initial goal of $100,000. All of these investments are focused on improving quality of life and community health initiatives, as well as projects requiring collaboration with Clive’s neighboring communities. Radiance, which is based on a design by artist and teacher Peter Marasco, will be installed at the intersection of 128th Street and Woodlands Parkway. Peter Marasco emigrated to Clive from his home in Italy in 1968. During his years in Iowa, Marasco taught art for 32 years in the Des Moines Public School district and also founded the Italian-American Society in Des Moines. His work as a sculpture artist can be seen throughout central Iowa, primarily at corporate office buildings and incorporated into landscape design. 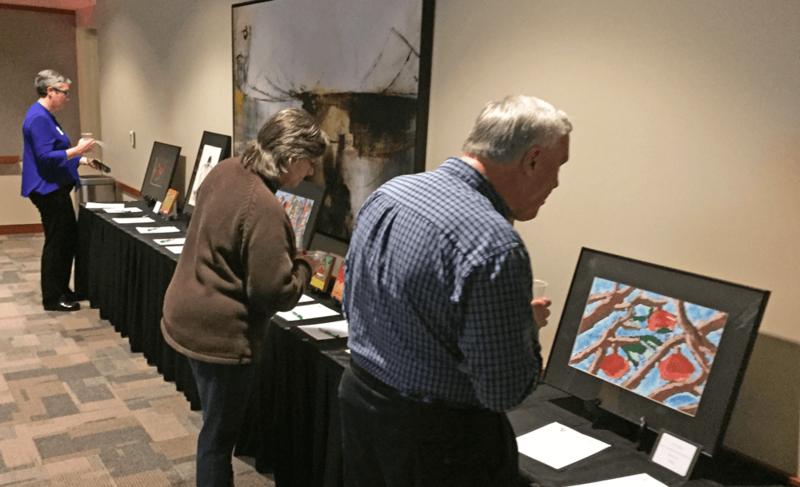 Also present at last week’s event were members of the Greater Des Moines art community including Sally Dix, executive director of Bravo, and Jeff Fleming, director, Des Moines Art Center. The Clive Public Arts Commission was developed in 2007 to familiarize community residents and recognize arts initiatives in Clive. Among the most prominent campaign is Arts Along the Trail, which is in its fifth year. The campaign has been expanded to nine exhibits along Clive’s greenbelt and walking/running trails. The future plan is to expand the number of public art exhibits within the Clive greenbelt. Clive residents and businesses can make tax-deductible contributions to either project simply by donating to the Clive Public Arts Advisory Commission. Funds raised will go directly to the permanent endowment or the Marasco project.